That’s how it was for me during the 2nd leg of the CUC 100km Ultra Marathon Series. Ramie Igaña fondly called by his TTB and Ungo teammates as Daddy Rams, had a fatal bike accident during the Ironman 70.3 held last August 5, 2012 here in Cebu, Philippines. Everything went according to plan for the first 50 km. 2km run with 2 minutes walkbreak. Clocked in at 8 hours 7 minutes. 16 hours was doable if I just did the same thing for the next 50. I sat down at km 50 drinking coffee and ask myself how can I run another 50km? While slowly sipping the coffee, I thought of a change of strategy. 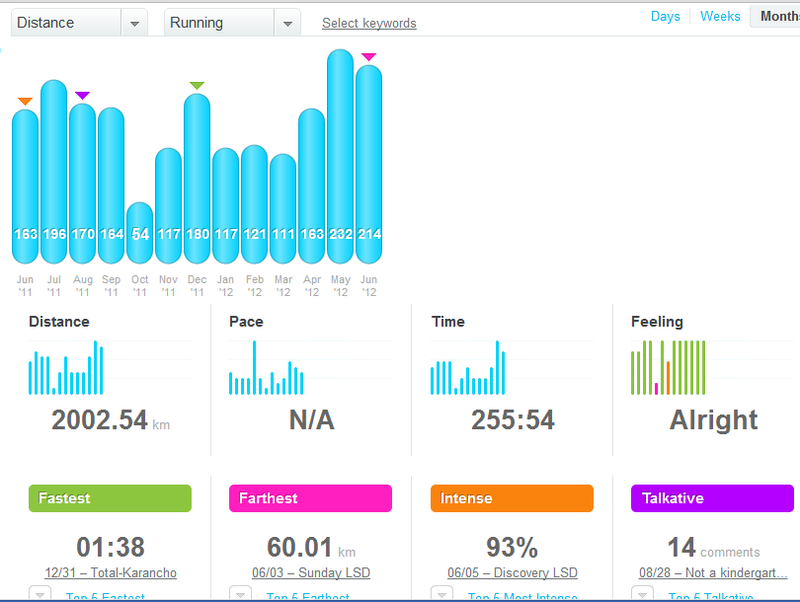 Summary of training for my first 100 kilometer distance Ultra Marathon on June 30, 2012.